My project aims to develop titanium sapphire and VECSEL laser technology to further the possibilities in researching cold atom Physics and applications. Furthering research into cold atom Physics will help us to better understand the quantum mechanical cold atom properties which remain largely unexplored. Completion of the project objectives will also aid to further research and development in cold atom applications which are already being thoroughly investigated, such as quantum computing and quantum simulation. Advancement in these areas will increase computing power beyond what is currently available and help us to bring the quantum world into real world practical applications. My project is based at M Squared Lasers in Glasgow, Scotland. I am currently focusing on learning about the build process and capabilities of the products being manufactured commercially at M Squared Lasers, with a particular focus on M Squared’s primary commercial product; the SolsTiS, a titanium sapphire laser frequently used for laser cooling, a fundamental process in cold atom experimentation. This work is intended to help me to develop an Expert level understanding of the applicable cold atom laser systems available at M Squared so that I can build and adapt these systems for use within the ColOpt network, which adds to the primary objective of this adaptive development; furthering laser technology in the area of cold atom applications. My project aims to make use of the well established and developed laser technology available at M Squared lasers so that the laser systems available at M Squared can be utilized by other members of the ColOpt network to facilitate the experimentation required to fulfil their research objectives. I am also going to be working with the Innovation department at M Squared to connect on-going research activities with ColOpt objectives, to develop and further optimize laser technology for cold atom applications. Using the well-established infrastructure available at M Squared lasers, and connecting and adapting the laser technology available there to steer development in the direction of cold atom physics applications provides a unique opportunity for the development of novel applications of laser technology which will facilitate experimentation techniques and configurations which were previously not possible. This will contribute to accelerating our understanding of cold atom physics as well as help to bring the applications of cold atoms into practical reality. I entered my first year of tertiary level education as an Un-denominated Science student in Galway-Mayo Institute of Technology (GMIT) in Ireland. During this year I developed a keen interest in Physics, and elected to progress into Physics and Instrumentation in my second year of study. The Instrumentation aspect of my degree choice allowed me to explore and develop a passion and affinity for Experimental Physics. 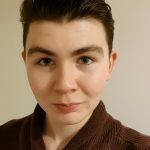 In my third year of study I completed a Laser Scientist Internship at the National Centre for Laser Applications in the National University of Ireland, Galway (NUIG), furthering my experience and exposure to Photonics. After my fourth year of study was complete, I graduated with First Class BSc Hons. Physics and Instrumentation and was the GMIT nominee for the 2016 Institute of Physics Earnshaw medal for best Irish undergraduate project for the Experimental Physics work that I completed for my 4th year project investigating dye-sensitised solar cells. I discovered M Squared Lasers at an open day at NUIG, and M Squared informed me of the position that they had secured within ColOpt. I pursued the position with avid interest and was delighted when I was informed that I would be functioning as an Experimental Researcher in Cold Atom Physics within the ColOpt network.